Schluter Systems kindly presented Paul with a Ditra-Heat system to use as a prize to aid the efforts of Paul James on his forthcoming cycle ride to Blois to celebrate Saint Gobain's 350th anniversary. Paul’s “number 1” bike was displayed in store, and customers were invited to guess the weight of the machine which Paul will be using in July. 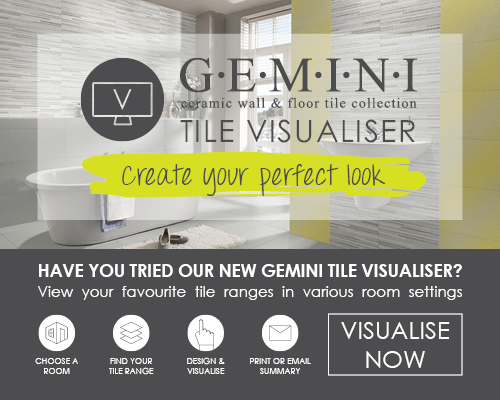 Closest estimate from all the guesses received came from Terry Treloar, of Wessex Tiling in Poole. 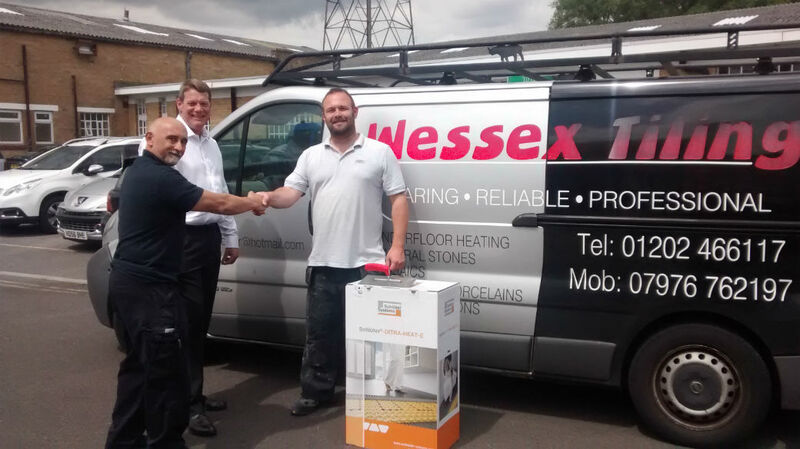 Terry is seen here being presented with his prize by Poole ABM Paul James, and Chris Emery of Schluter. We would like to say a huge thank you to everyone who came down to CTD Poole to take part in our recent competition and for your kind contributions. Any amount of support offered to Paul, either large or small, would be hugely appreciated for this most worthy cause. If you would like to make a donation you can do my simply following the link to Paul James Just Giving page or on the main Saint Gobain Team page. We take our hats off to Paul and wish him and the rest of the Saint-Gobain riders luck on the up and coming adventure. Don't forget to check out our Facebook & Twitter accounts for all the latest news and updates from CTD.